02-28-19 / Design of a water feature at a proposed long term care facility currently under construction in St. John’s. 10-24-18 / Work has begun on the Salvation Army Centre of Hope in downtown St. John’s! 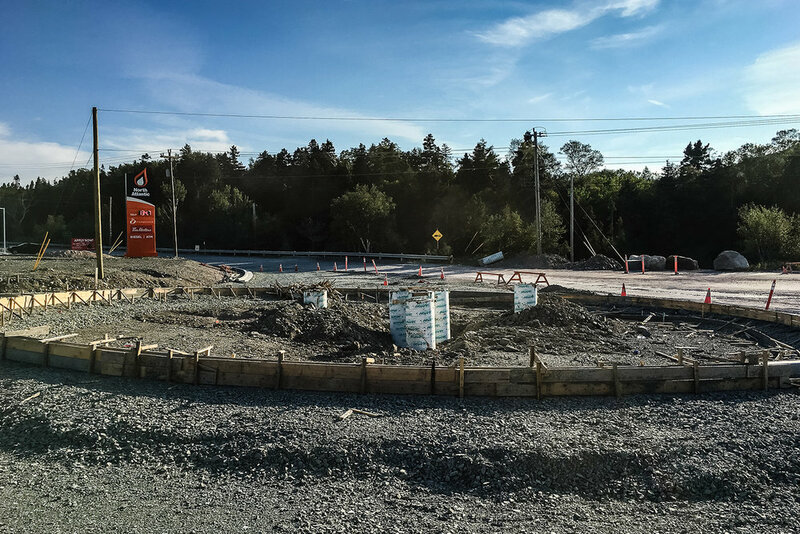 09-28-18 / Footings are in place for our roundabout gateway feature in Holyrood! 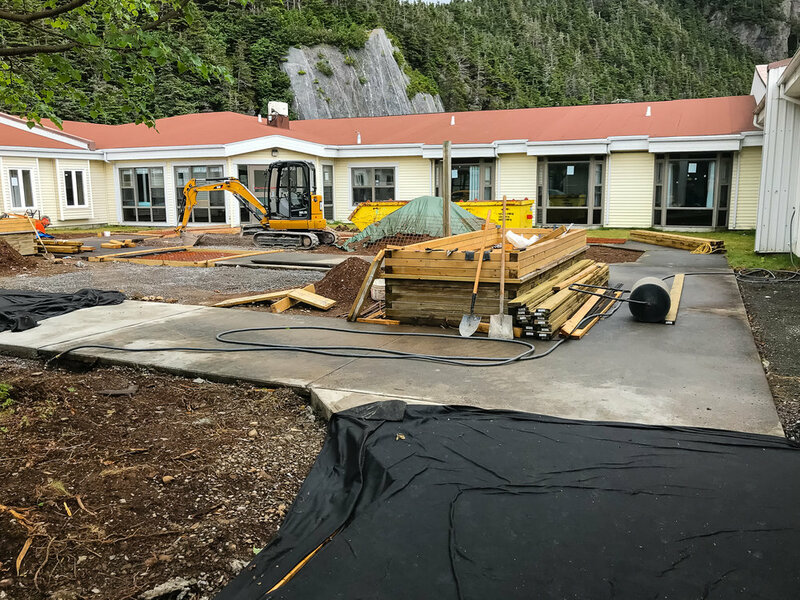 08-08-18 / We are happy to see construction progressing on the redevelopment of the courtyard at the Lions Manor Nursing Home in Placentia. We prepared the design and tender package for this unique project, which isn't without its challenges - all materials have to be lifted by crane into the enclosed space! 07-12-18 / It's demo day on our latest residential project. We're reusing this beautiful natural stone in the design of a new backyard space for these lucky homeowners. 04-25-18 / Full steam ahead at Nature's Path Estates in Hughes Brook. Thanks to NewLine Developments for the photo. 03-15-18 / Looking forward to construction beginning this spring. 11-29-17 / Formwork in place on our latest residential project. 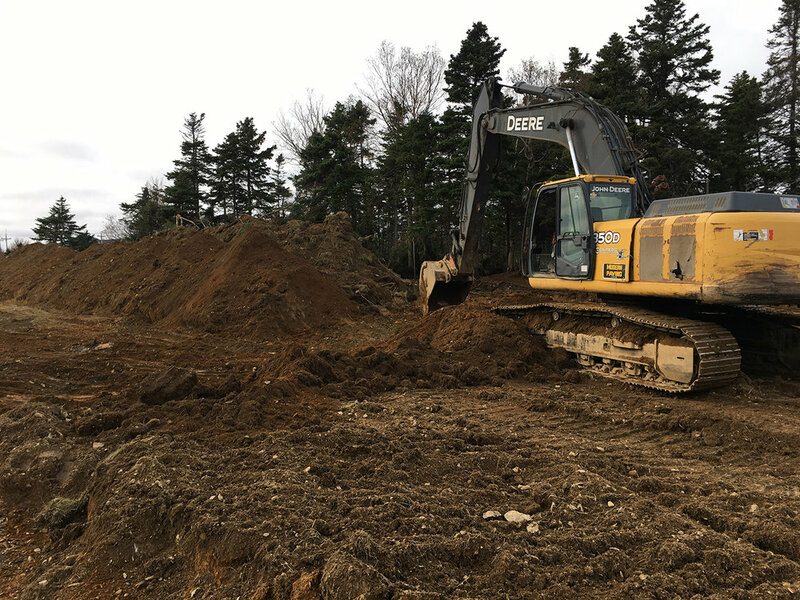 11-08-17 / Breaking ground on our biggest project yet.